I will start with what we got for my friend. On the website it's called Lady's Leather Belt Bracelet Watch Fashion Retro Hand Bell Small Adorn Article. 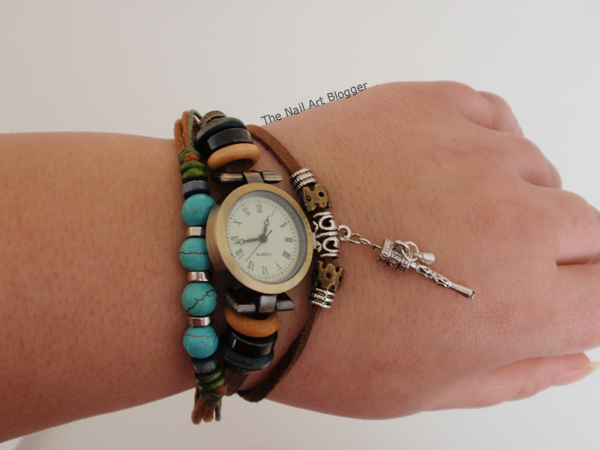 It's a lovely bracelet-looking watch, with big turquoise beads, and some smaller ones, and a metal charm. 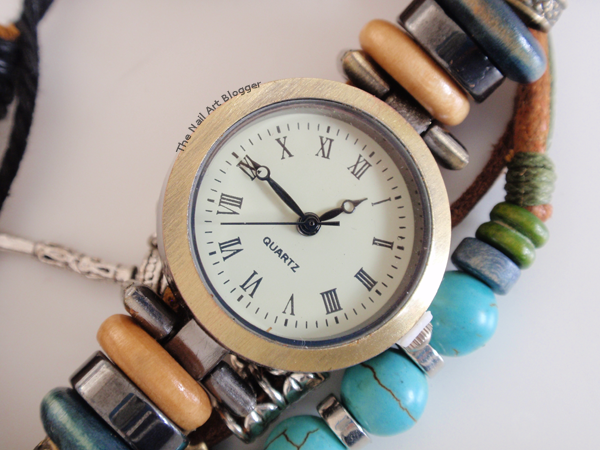 At a first glance it's pretty girly, but once around your wrist it feels elegant in some way. Kind of bohemian. As you can see in the photo above, I haven't removed the protective plastic piece from underneath the crown, because I don't want it to start consuming the battery before my friend has it (she lives abroad). 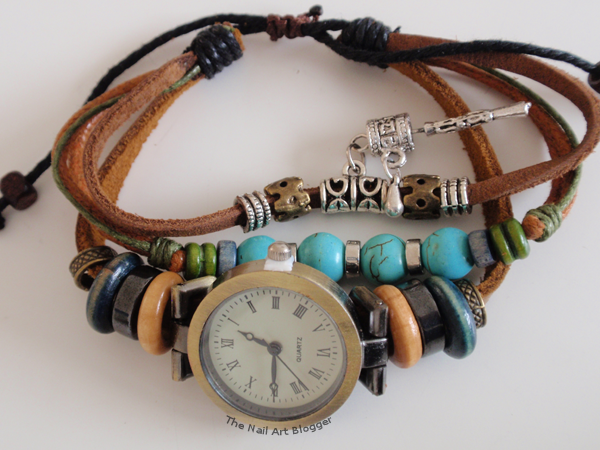 The straps are made of cowhide, and the charms and beads are alloy and wood. 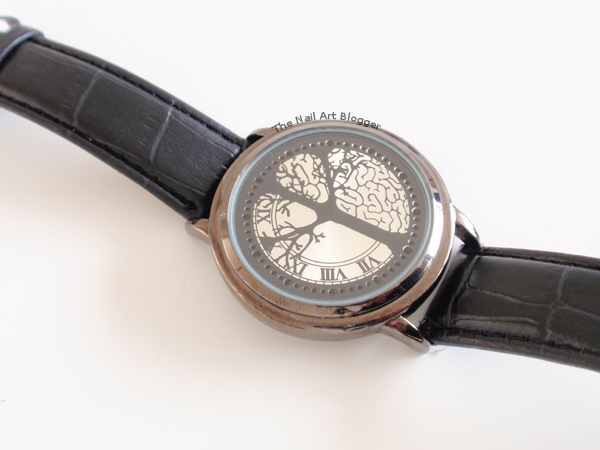 The dial thickness is 6mm, and the diameter is 2.6cm. The length of the strap is around 22cm. The next watch is what I got for myself. 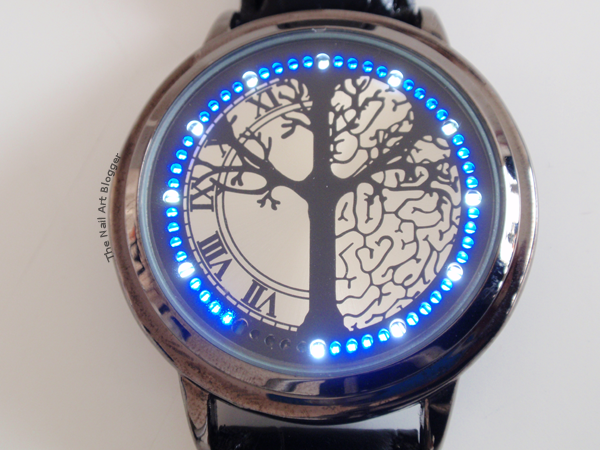 On the website it's called Unisex Touch Screen Watch Blue LED Flashing Tree Pattern Dial Wrist Watch. 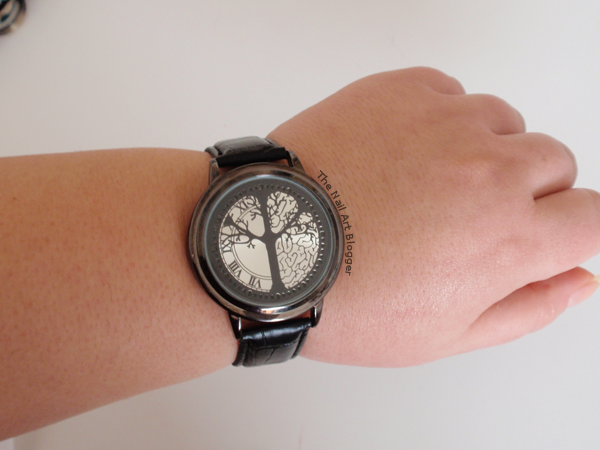 It's quite difficult for me to find a watch that would fit my wrist, and I was quite skeptical when I ordered this. But I was pleasantly surprised that it fit me, and it looks amazing. I find it to be elegant and badass at the same time. And the fact that it's a touchscreen makes it even cooler. The strap is leather. But I don't think it's real leather since it looks, feels, and smells like artificial leather. The length of the strap is 24.5cm, the width is 1.8cm. The case is about 4.4cm in diameter. Now that is quite big for me, since I'm used to smaller sizes of watches. 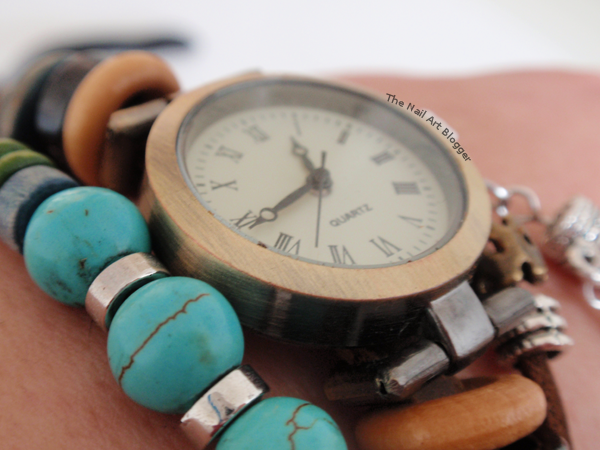 But by now I'm used to how it looks around my wrist and I'm quite pleased with it. 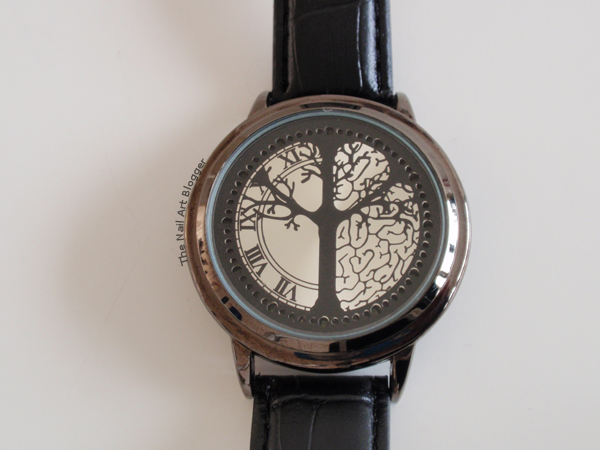 The watch comes with an instruction manual, which makes using it quite easy. And I decided to make a short video demonstrating how the watch looks on my wrist, and also how to set and read the time.